By creating content dynamically on demand, the plugin generates fMP4 with HLS just like any other output, based on the existing storage format. Following Apple’s watershed move to stream HD content on its devices, Unified Streaming proudly announces two new releases enabling fragmented MP4 as a delivery format for HLS: version 1.8.3 of Unified Origin for dynamic just-in-time workflows and version 1.8.3 of Unified Packager for file-based workflows. The releases are now available. Both software solutions’ use of fMP4 with HLS allows codecs, such as H.264, AAC and the High Efficiency Video Coding (HEVC) now embraced by Apple. This provides the opportunity to deliver Ultra HD content – in Standard Dynamic Range (SDR) or High Dynamic Range (HDR) –to iOS 10, macOS 10.12, tvOS 10 onwards as well as to other compliant devices and SDKs. Both Unified Origin and Unified Packager support all major DRM systems. Crucially, that includes ‘cbcs,’ the only scheme of the third edition of the Common Encryption (CENC) that Apple supports. Origin supports Apple FairPlay along with Microsoft PlayReady (for Xbox, among others) and Widevine (for Android devices). By creating content dynamically on demand, the plugin generates fMP4 with HLS just like any other output, based on the existing storage format. By contrast, Unified Packager creates Common Media Application Format (CMAF) fragmented media before producing M3U8 playlists (Note that Apple has specified its fMP4 by the ISO base media file format (ISOBMFF), which differs from CMAF*). These latest delivery options for Origin and Packager fit seamlessly into existing workflows. They also support WebVTT and ISMC-1 subtitle formats. Unified Streaming’s releases bring visible, valuable benefits to viewers. Above all, 4K UHD content is being shown in new contexts and seen as never before. *note: although RFC 8216 mentions CMAF as an example. 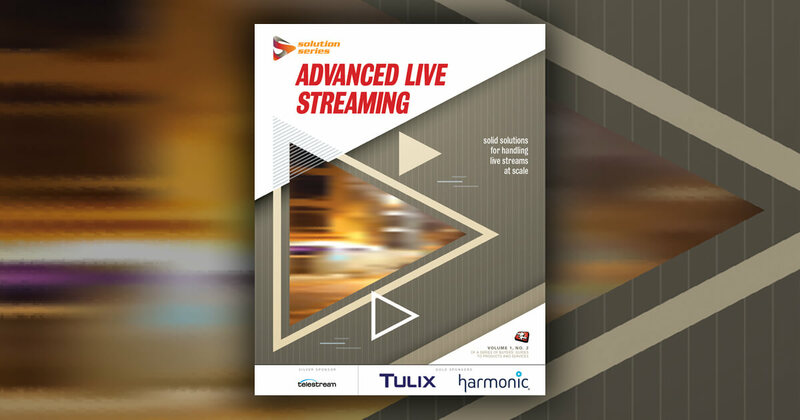 Unified Streaming is dedicated to helping companies create and execute smart video streaming technologies. Its products are in operation around the world, with customers ranging from live news broadcasters and major TV networks to service providers and technology partners. The ease of use and reliability of our solutions allow customers to shorten their time-to-market. Our solutions fit into existing frameworks (Apache, IIS, Nginx), thus allowing for greater return on existing investment and reducing delivery cost significantly. Or go to our website www.unified-streaming.com, follow us on Twitter @UnifiedStream and on LinkedIn at Unified Streaming.